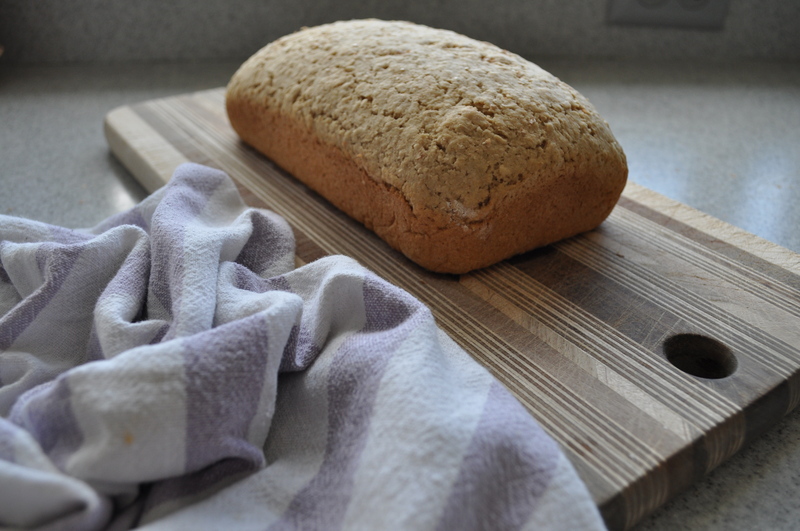 Whole-Wheat Oatmeal Bread – Got Nourishment? Homemade bread? Isn’t that a lot of work? Actually, no! If you can spare some time hanging around home (while your dough rises), whether it’s on the weekend or an evening at home, homemade bread is extremely easy and is much cheaper than the store-bought stuff. Not to mention that you know exactly what goes into your bread! Store-bought breads can have a lot of extra added ingredients allowing them to last longer on the shelves. Not to completely knock store-bought bread…which I buy my fair share of! Another great thing about homemade bread is that you can substitute to your hearts content! In this recipe, I substituted whole-wheat pastry flour (my favorite) for the all-purpose flour. This resulted in a very dense, but delicious loaf of bread! For a less dense version, try using half whole-wheat flour and half all-purpose flour. It’s also fun to experiment with adding chopped nuts and seeds, or substituting part of the flour for a 5 to 10-grain hot cereal (I’m a sucker for Bobs Red Mill). 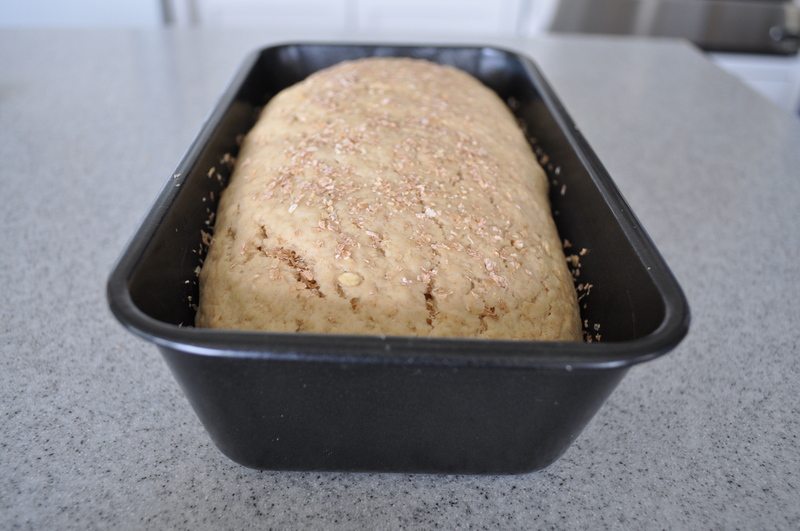 Grease a 9×5 inch loaf pan, as well as a medium bowl. Set both aside. 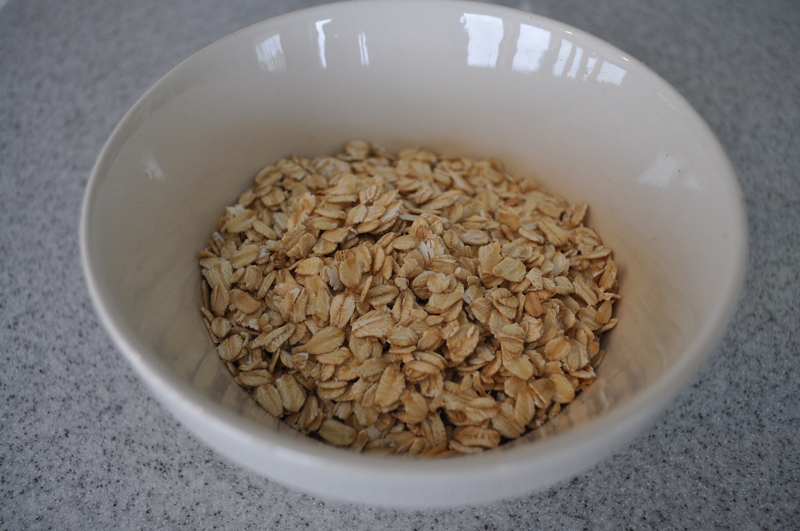 In a small bowl, pour boiling water over the oats. Set aside until it comes to room temperature. In a liquid measuring cup, mix together the warm water and yeast. Let sit for about 10 minutes or until foamy. Meanwhile, in a large bowl combine flour, brown sugar, and salt. Add oats, yeast mixture, and butter to the flour mixture. Mix until combined and a dough starts to form. (You can do this by hand or with a paddle attachment on an electric mixer). 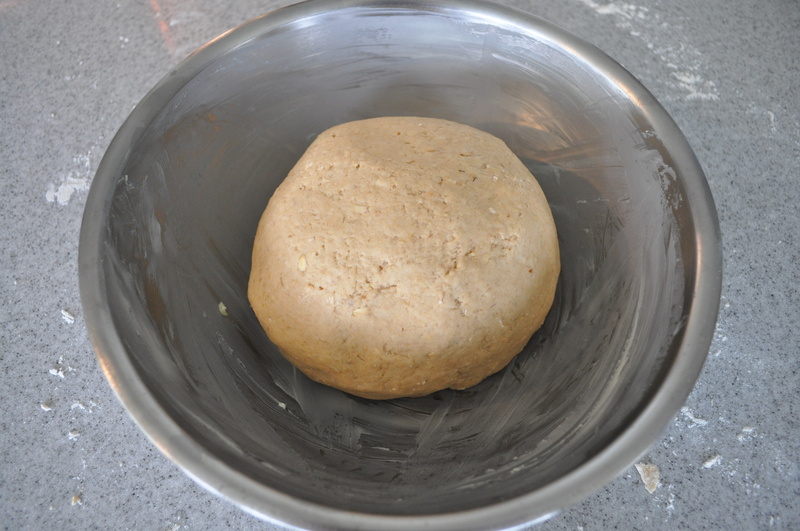 Place dough in the greased bowl. Cover and let rise until double in size, about 1 hour. 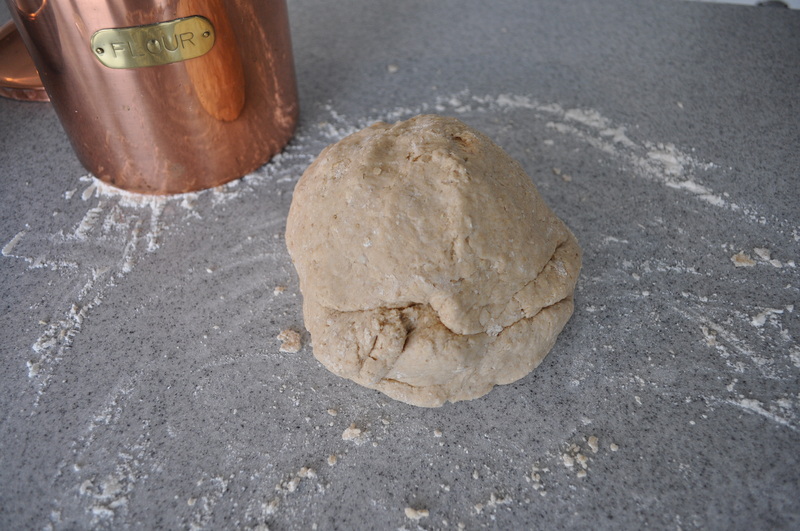 Turn dough onto a lightly floured work surface and deflate with the palm of your hand. Gently shape the dough into a rounded rectangle, about the size of your pan. Place into prepared bread pan. Cover and let rise until doubled in size, about 1 hour. Preheat oven to 375 degrees Fahrenheit. After the dough has risen, remove the cover and place in the oven. Decrease the temperature to 350 degrees Fahrenheit (we start out with the oven at 375 to make up for any heat lost when opening the oven door). Bake for 30-40 minutes. When done, the loaf should sound hollow when taped on. Remove bread from pan and cool on a wire rack.